Brazil’s graduation dilemma: global player, regional power, or something in between? In November 2009, The Economist announced to the world that Brazil was taking off. In October 2013, the same magazine asked if Brazil had blown it; by February 2015 the country was said to have sunk into a ‘quagmire’; and finally in April 2016 The Economist announced the ultimate betrayal of Brazil. Other media outlets including Le Monde, El País, The Washington Post and The Guardian also reported this transformation of Brazil from a country of global ‘best practices’ into one of political imbroglio and an institutional crisis not seen since before the 1988 Constitution. At the outset of the 21st century, Brazil was praised for being a responsible rising power. It was held aloft as a development model for other nations of the Geopolitical South, as well as an example of incremental political transition from a civil — military dictatorship to a rights-based society. Brazil’s fight against hunger, its inclusive public policies, the increase in the number of public universities, the recognition of a diversified multiracial society, multilateral leadership, a political vision of regional integration processes, and its outreach to African countries, inter alia, contributed to Brazil’s world-wide acclaim. Developing countries sent envoys to Brasília to analyse the gradual results of social policies being implemented. In 2017, however, the situation is totally different from that at the beginning of the twenty-first century. Although Fernando Henrique Cardoso, Lula da Silva and Dilma Rousseff had their respective differences and relevant distinctive traits, the three presidents did not deviate from the 1988 Constitution and subsequent political pact that supported Brazil’s re-democratization and macroeconomic stabilization. Nevertheless, in 2015–2016 the sense of progressive advancement was disrupted. Something has happened in Brazil in the last two years, and the country now faces one of the greatest institutional, political and economic crises of its Republican period. In a recent article for International Affairs, we engage with this transformation from the perspective of Brazilian foreign policy. In so doing we introduce a concept which helps to explain change in Brazil’s foreign policy and its capacity to project power internationally: the ‘graduation dilemma’. Linking domestic political, institutional and economic variables with regional and global challenges is key to engage with the ‘graduation dilemma’ as a concept to understand what Brazil is currently going through. What is the graduation dilemma? Our view is that second-tier, non-nuclear powers face a ‘graduation dilemma’ whenever their key decision-makers have the opportunity and the objective to choose between different international strategies: the choice lies between either a more autonomous type of development or a more dependent one. 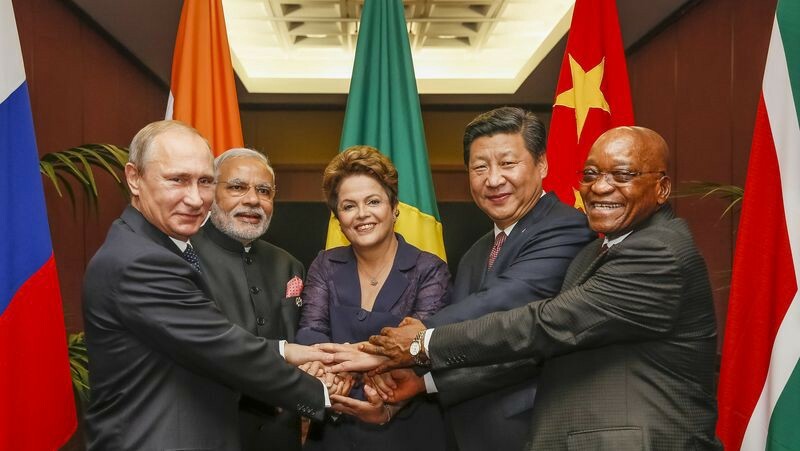 In security terms this choice becomes one of bandwagoning and balancing; when building a multilateral policy it concerns seeking traditional alliances or more innovative coalitions (such as the IBAS Forum, the BRICS group, the South American-Arab countries summits, the South American-African countries summit); while in geopolitical terms and in the field of development cooperation, the question is whether to emphasize North — South or South — South relations. There is no doubt that within these binaries there are a multitude of other options which decision-makers may envision and implement. The concept of graduation dilemma that we propose has three main components that key decision-makers must grapple with: (a) the scope of their international ambition, the country’s material capabilities and the systemic permissiveness; (b) the possible contradictions related to role expectations coming from international and domestic audiences; and the uncertainty associated both with non-anticipated results and third countries’ perceptions of their foreign policy decisions. Based on this conceptual framework, we examine in the article the idea that in recent times there has been no consensus within the Brazilian strategic elite about the country’s international strategy, particularly during the presidential mandates of Lula da Silva and Dilma Rousseff. 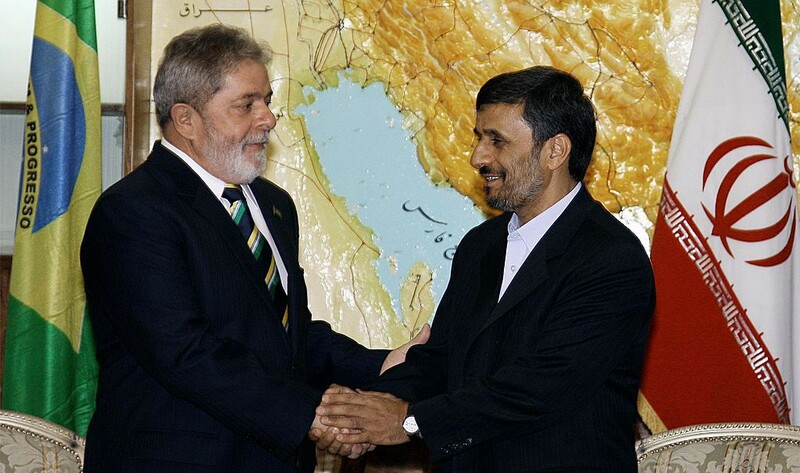 One example that may illustrate domestic and international costs and benefits related to the graduation dilemma was Lula’s decision to foster the Brazil — Turkey mediation to solve the deadlock concerning the Iranian nuclear programme, which resulted in the 2010 Teheran Declaration. Even if Ambassador Celso Amorim had made consultations with US officials prior to conversations with Turkey and Iran, once Teheran accepted the terms of the deal and that the agreement was made public, major powers (including the US, Russia and China) did not support it in UN Security Council debates. The international community did not acknowledge Turkey and Brazil’s efforts and roles to promote a solution to a global security conflict. Domestically both countries had to confront serious opposition from political parties and media who did not share their views on Brazil and Turkey’s engagement with Iran on security matters. This is a case of graduation dilemma that involves uncertainty about international support, as well as domestic and diplomatic costs. Both Turkey and Brazil finally voted against sanctions on Iran in the Security Council. Another example lies in Brazil’s current crisis, which goes beyond domestic politics — it also has international and geopolitical elements. In 2003, Brazil’s foreign policy moved away from its previous trajectory of alignment with the West (particularly the United States). Despite their domestic differences, the approaches of Lula and Dilma to foreign policy were based on a shared interpretation of the world order (increasingly less hegemonic and more multipolar) and on a defence of Brazil’s self-esteem, political autonomy and development. Nowadays, these foreign policy principles and decisions are being set aside. In March 2017 Brazil and the US signed a military agreement that paves the way for the joint development and sale of defence products. As one Bloomberg journalist said, the agreement ‘is the latest sign of a foreign policy change in Latin America’s largest economy after more than a decade of left-wing rule ended with the impeachment of President Dilma Rousseff last year’. Two other military deals are being discussed and could pave the way for US use of Brazil’s rocket launch site, the Alcantara base. If Lula and Dilma undoubtedly showed ambition for graduation, thus facing considerable dilemmas in their conception and implementation of foreign policy decisions, it seems that the current government has made a clear option for non-graduation, therefore avoiding the need to confront with dilemmas that we have tried to depict and analyse in our article. Carlos R. S. Milani and Leticia Pinheiro are both Associate Professors at the Rio de Janeiro State University’s Institute for Social and Political Studies (IESP-UERJ). Maria Regina Soares de Lima is a national senior researcher at IESP-UERJ as well as the Nelson Mandela Visiting Professor at Rhodes University. This blogpost is based on their recent article, ‘Brazil’s foreign policy and the “graduation dilemma”’, which appears in the May 2017 issue of International Affairs. For more on the May issue special section on Brazil, read Ana Margheritis’s introduction to the project. Free access by clicking here.